This holiday season, give the gift of reading and give back too! 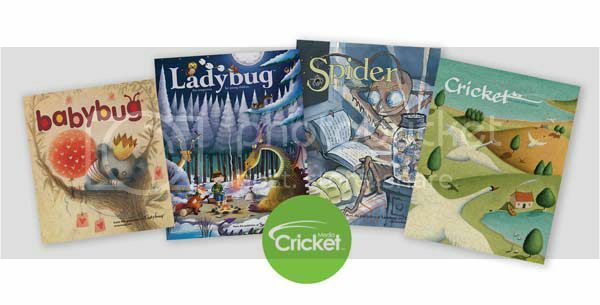 Cricket Media, and its award-winning family of ad-free kids magazines including BABYBUG, LADYBUG, SPIDER and CRICKET, invite gift-givers to double the reading and double the joy with their new “Double the Giving” Campaign. Throughout December, any gift-giver purchasing an annual print subscription to one of four different Cricket publications will also deliver the gift of reading to a child in an under served community through two award-winning, charitable partners: Libraries Without Borders and Parent-Child Home Program, both 2016 Library of Congress Literacy Award Winners. I received sample magazines and took them to my classroom. The students loved them. They were engaged and they loved the stories. Since 1973, the magazines in the Cricket family have sparked curiosity, inspired creativity and opened worlds of possibility in kids ages 3-16. Simply stack a year’s worth of one of Cricket’s magazines in front of a child, and they’ll see months of great stories and interactive features; adults will see a lifetime foundation of literacy and learning. But, for many children, experiences like this are not a given, and Cricket wants to help. If you are seeking to give the life-long gift of reading, visit DoubletheGiving.com. You will have the opportunity to join a movement guaranteed to spark a lifetime love of reading through Cricket’s “Double the Giving” Campaign, Through the purchase of specially-discounted subscription bundles to BABYBUG (ages 6 mos.-3), LADYBUG (ages 3-6), SPIDER (ages 6-9) or CRICKET (ages 9-14) for $29.95 (regularly priced at $33.95), gift-givers can select between two charitable organizations to receive another 9-issue annual print subscription. It is a win - win! Libraries Without Borders supports community development in 20 countries around the world through the promotion of literacy. And, since 1965, the Parent-Child Home Program has been providing under-resourced families with the necessary skills and tools to help their children thrive in school and in life, developing school readiness in children with disadvantages by combining intensive home visits with weekly gifts of books and educational materials. Donated subscriptions through the “Buy One, Donate One” program will deliver BABYBUG, LADYBUG, SPIDER, AND CRICKET to families in more than 400 high-need, under served communities throughout the United States, opening windows of possibility, creativity and wonder for thousands of children across the country. 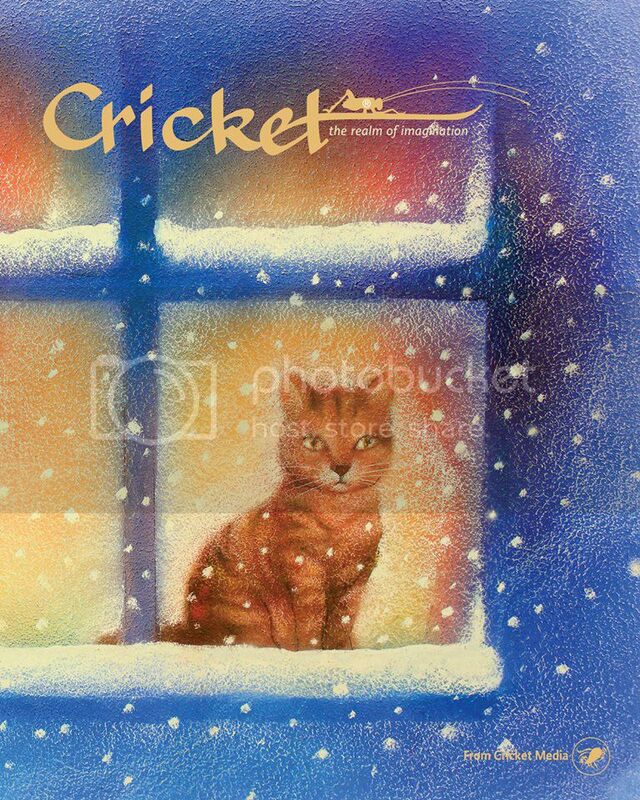 Connect :: Visit cricketmedia.com to learn more about their award winning children's magazines. Connect with Cricket Media via Facebook and Twitter. Buy It :: You can purchase a buy one, donate one yearly subscription for $29.95.